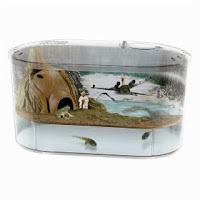 I-Mockery found the awesomest geek gift: A "Star Wars" Dagobah frog habitat. I kind of thought they were making this up, but it appears REAL. You can buy it at Amazon!